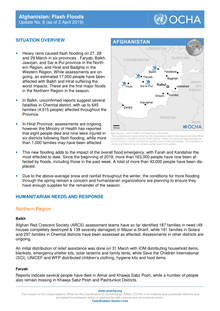 Unseasonal heavy rains and floods affected a number of regions of Afghanistan as well as Kabul, between 13 and 19 April. 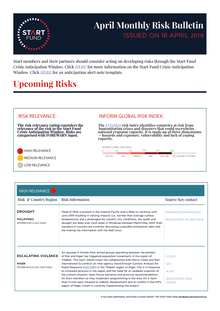 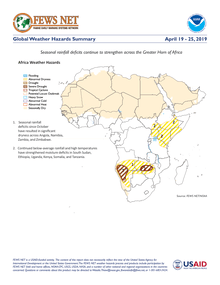 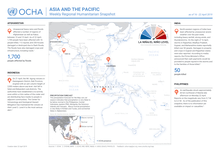 As of 22 April, 1,700 people have been affected with 16 people killed, 112 injured, and 250 houses damaged or destroyed due to flash floods. 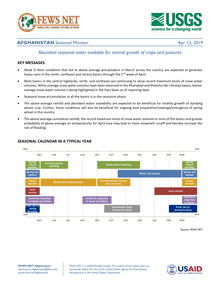 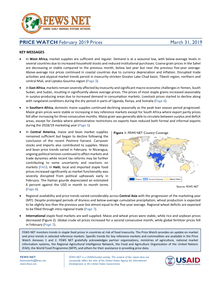 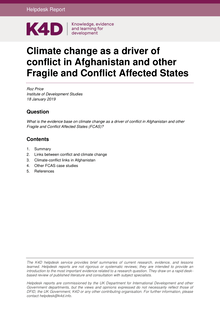 • Afghanistan faces severe drought conditions in at least 20 of its 34 provinces. 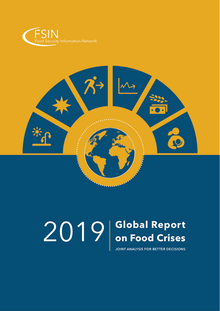 More than 10.5 million people are affected by drought, including 3.5 million people in need of emergency food and nutrition assistance, the Food Security Cluster reports. 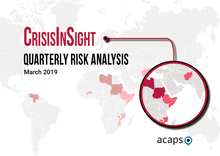 As of mid-March, more than 62,000 Afghans had returned from Iran and Pakistan since January, and approximately 46,000 people were internally displaced due to conflict and natural disasters, according the UN. 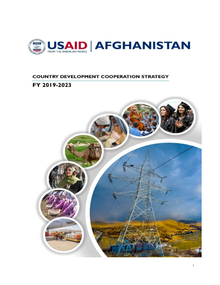 The U.S. Government (USG) and Afghanistan have partnered for 17 years to achieve shared security and development goals. 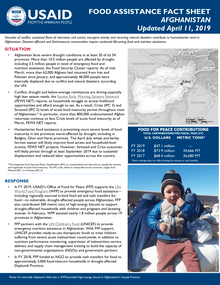 The August 2017 U.S. South Asia Strategy reaffirms the commitment of the U.S. to Afghanistan and highlights the importance of the country’s stability to U.S. national security. 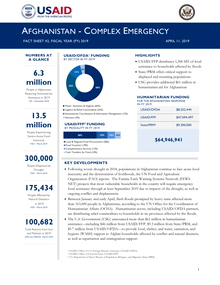 Foreign assistance is crucial to addressing the security and development challenges that, in the past, have made Afghanistan a safe haven for terrorists and violent extremist organizations. 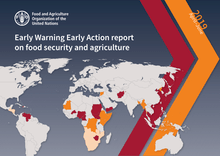 Years of war ruined a government farm that worked to produce improved wheat seeds to benefit Afghanistan’s agricultural production. 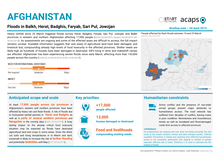 Technical and financial support from the Afghanistan Agricultural Inputs Project is helping the farm recover its output of high quality seeds that produce climate-adapted, high-yielding crops resistant to disease and pest. 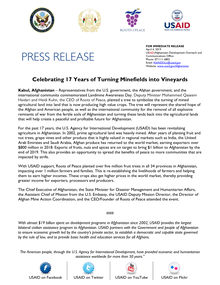 Kabul, Afghanistan - Representatives from the U.S. government, the Afghan government, and the international community commemorated Landmine Awareness Day. 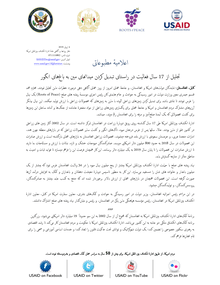 Deputy Minister Mohammed Qaseem Haidari and Heidi Kuhn, the CEO of Roots of Peace, planted a tree to symbolize the turning of mined agricultural land into land that is now producing high value crops.